Is an aluminum foil conductor or an insulator? Aluminum is a pretty good conductor. For a while it was competing with copper for wiring in home construction though safety concerns arose. Concerning aluminum foil, its thinness is an issue since the cross section of a conductor impacts electrical resistance. If you take a thin strip of Al foil and attach a dry cell battery, you will find it rapidly heats and then combusts. Aluminum foil, made of almost pure aluminum, a metal, is a good conductor of both heat and electricity. However, the aluminum does react with oxygen in the air to form a very thin film of aluminum oxide on its surface. Aluminum oxide is an electrically insulating material. 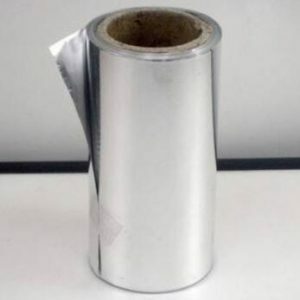 But, the film of aluminum oxide is so thin that it has almost no effect on the thermal or electrical conductivity of the foil.